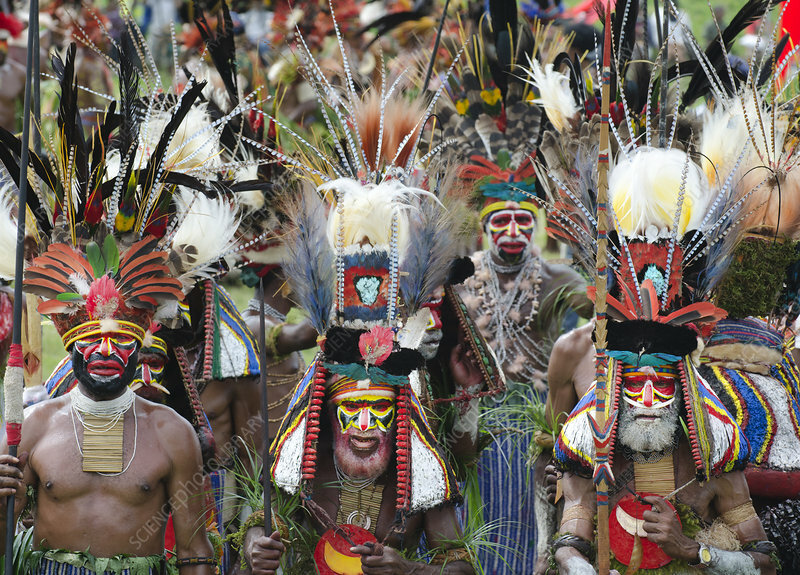 Men of Mendi from the Southern Highlands at Hagen Show, Western Highlands, Papua New Guinea. Head dress has King of Saxony plumes and breast shield of Superb Bird of Paradise plus plumes from Blue bird of Paradise. August 2011.